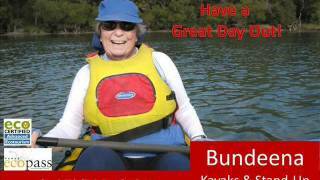 Their popular Beach Kayak Tour runs daily at 10.30am and 12.30pm from their beachfront base in beautiful Bundeena. This short guided kayak tour (1.5 hours) takes in the gorgeous bays and beaches of this picturesque nature lover's paradise and is the perfect start into the fun sport of kayaking. Absolutely perfect for those who haven't kayaked before and would like the assistance of one of experienced and friendly guides. Kayak, paddle and safety vest included as well as basic kayaking instruction and guide accompaniment for duration of tour.